A sacked Benue legislator, Benjamin Nungwa has lost an appeal to reclaim his seat after losing at the Supreme Court. 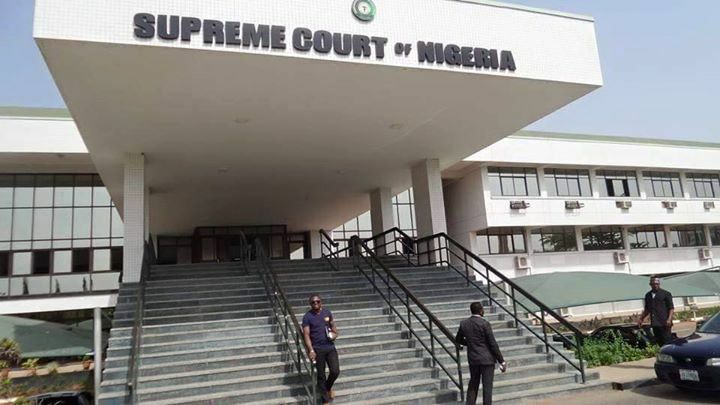 The Supreme Court, on Thursday, struck out two applications by a sacked Benue legislator, Mr Benjamin Nungwa, seeking to reclaim his seat in the Benue House of Assembly on grounds of incompetence. In one of the motions Nungwa filed, the lawmaker sought to set aside an Appeal Court judgment that sacked him as the Kwande West State Constituency representative. The second application, also struck out by the court, was a motion seeking leave of court to appeal the judgment that sacked him as a lawmaker in the state legislature. The apex court, presided over by Justice Olabode Rhodes-Vivo, upheld the arguments of respondent’s counsel, Mr Douglas Pepe, that all applications were incompetent and could not stand in court. The Judge agreed that the particulars of the judgment the appellant sought to appeal were not contained in the application before the court. He, therefore, struck them out for being incompetent. Pepe, had in his submissions before the apex court averred that the application seeking stay of judgment was already before an appeal court in Makurdi, while the other seeking leave to appeal the appeal court judgment that sacked him, was filed late. Responding to the arguments, appellants’ counsel, Mr L.A Izabi, insisted that the application for stay of judgment was not an abuse of court process, arguing that he had already withdrawn that of the Appeal Court. The News Agency of Nigeria reports that the Court of Appeal delivered the verdict that sacked Nungwa as a state legislator on September 2, in Makurdi.